An acorn squash shell, to be exact. My obsession with simply-cooked acorn squash has me buying them in multiples every time I go to the store. Settling down to one for dinner (or as part of dinner) is the perfect way to end a blustery fall day. 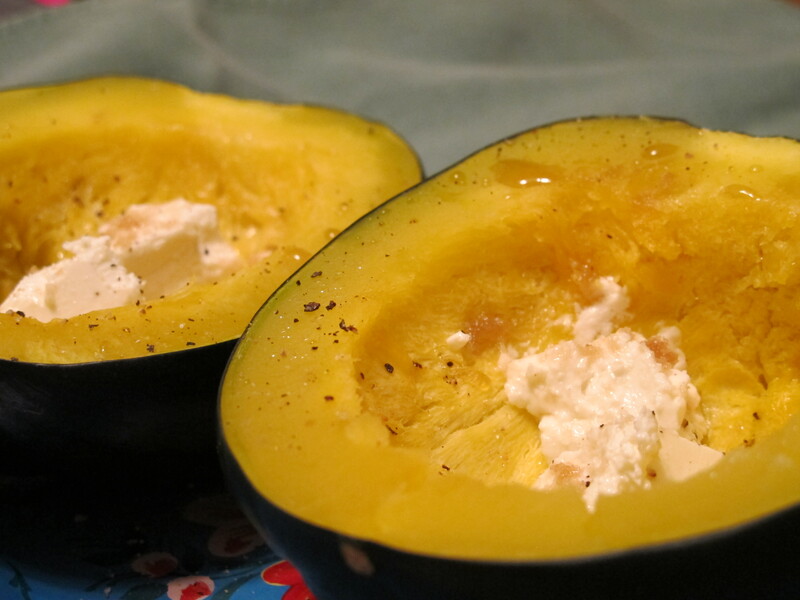 All it takes is a small acorn squash, goat cheese, and brown sugar. 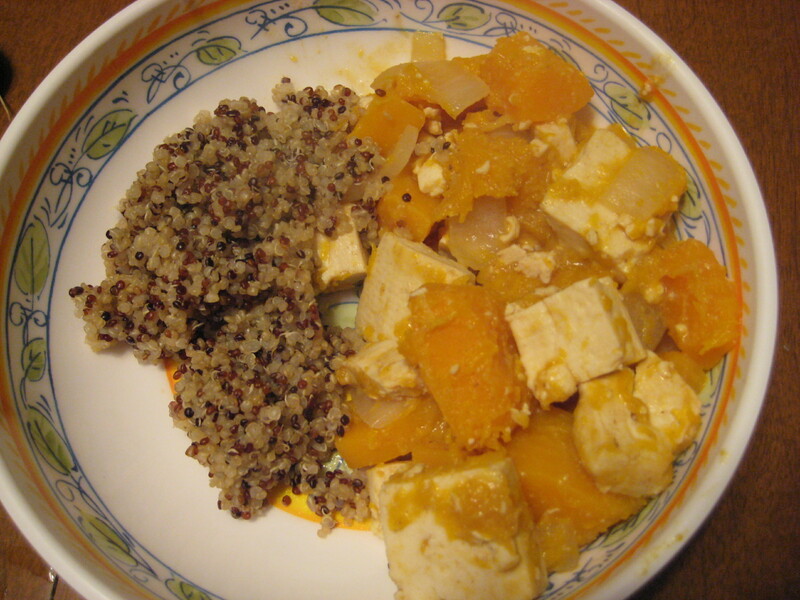 Start by cutting the squash in half, and scooping out the seeds and the pulp with a spoon. Then put both halves of the squash cut-side down in a small microwave-safe casserole dish (mine is about 10″ across) with 1/2 inch or so of water in the bottom. The goal is to give the squash enough water to steam, but not so much that it will take a long time to get hot. Cook on high for 5 minutes, then poke the outside of the squash to see if it’s soft. My small squash tonight took 15 minutes to cook fully, but it’s a good idea to check every 5 minutes and then just add more time to the clock if it needs more. The inside should be bright orange-yellow and the outside should be tender when poked for it to be done to my standards. Remove from the dish, top with goat cheese, salt, pepper, and a tablespoon of brown sugar. And voila – you’ve got dinner! This is also really good reheated the next day, but I’ve only made it that far once and have succumbed to eating the whole thing every other time. If it’s all you eat for dinner, you might be hungry later – this dish is only worth 3 PointsPlus (aka super healthy). 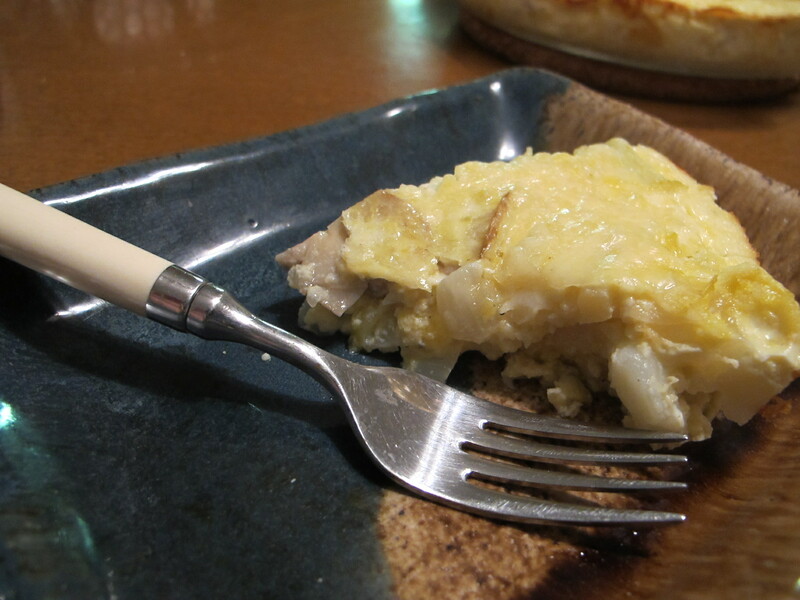 Base – can be adapted for any crustless quiche! Get the cauliflower steaming and oven preheating to 375 degrees (F), then prep the rest of the vegetables. Sauté the onion and mushrooms in a pan with olive oil – when cooked/brown, add the cauliflower, garlic, and butternut squash. Stir in some salt and pepper as you go, to taste. In a bowl, beat eggs and egg whites. Add milk, nutmeg, and then grated cheese, stirring well. Remove the vegetables from the heat and add them to the egg/milk mixture, stirring gently. 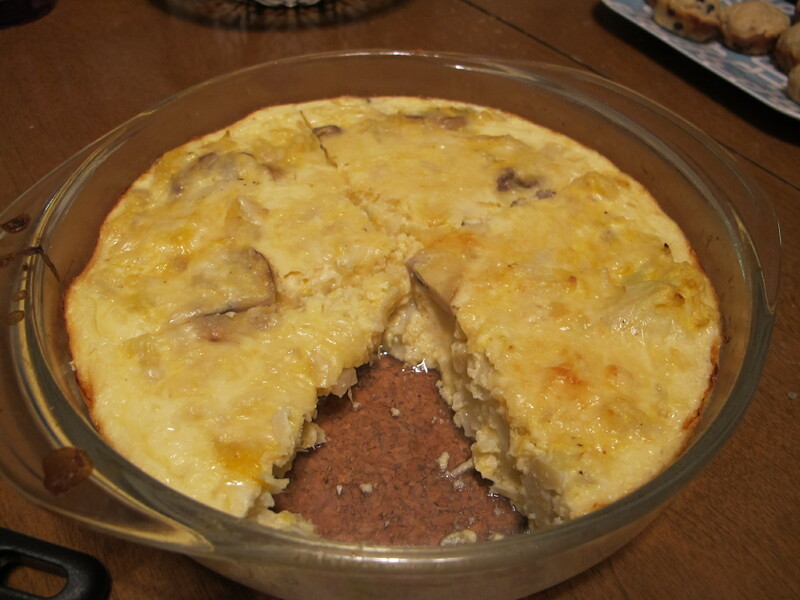 Pour into lightly greased pans (for me, this took one casserole dish and one medium-sized pie plate), top with extra cheese as desired, and cook for 35-40 minutes, until set. Remove from the oven and let cool slightly – then eat or freeze! For me, this made 16 servings, each with a PointsPlus value of 4. See what I mean about amazing? This is going to be a delicious breakfast/lunch/snack for this week, a new standard meal in our little apartment, and a good option when I want to cook for my gluten-free friends. Furthermore, it’s proof that you CAN enjoy good food without all the carbs – just kick them off the plate!